While the update has a lot of changes to the look and feel, the biggest change will be for teachers. 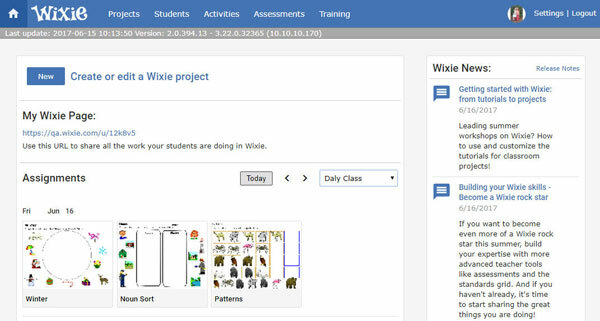 This update consolidates the teacher home page and the Assignments tab into one page, removing the Assignments tab altogether. The home page for teachers now includes an Assignments section that lets teachers see a week’s worth of assignments by class. I hope you have a great summer! It has been another fun school year watching kids make amazing projects with Wixie.